Save with our In-Office Dental Plan! We offer a number of sedation options to calm and relax you before and during each appointment. 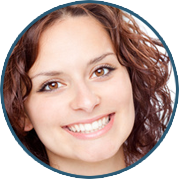 The appearance of your teeth is important to us and at Dentistry by Design, we are committed to giving you the beautiful smile that you deserve. 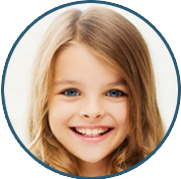 Dentistry by Design provides a full range of dental services and oral hygiene solutions for the whole family. CEREC technology allows the doctors at Dentistry by Design to restore teeth with crowns, inlays and onlays in just one office visit. At Dentistry by Design, our highly skilled, dedicated, and compassionate team of dental professionals work alongside Manhattan dentist Dr. Bret Gilsdorf, and are committed to making sure you experience excellence in dental care every time you visit. Our team will make sure your needs are met and your expectations are surpassed, from the moment you step through our doors until you are done checking out, and they will always give you a reason to smile. 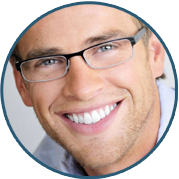 Dr. Gilsdorf’s practice philosophies stem from his compassion to give his patients the education they need to achieve optimum health and aesthetics, where every aspect of their individual care is respected. Dr. Gilsdorf accomplishes this by melding the four pillars of comfort, compassion, customer service and excellent dentistry to create a new, positive and unique experience for his family of patients. He enjoys the opportunities when he and his team accomplish the goals for their patients, and they notice and appreciate it.